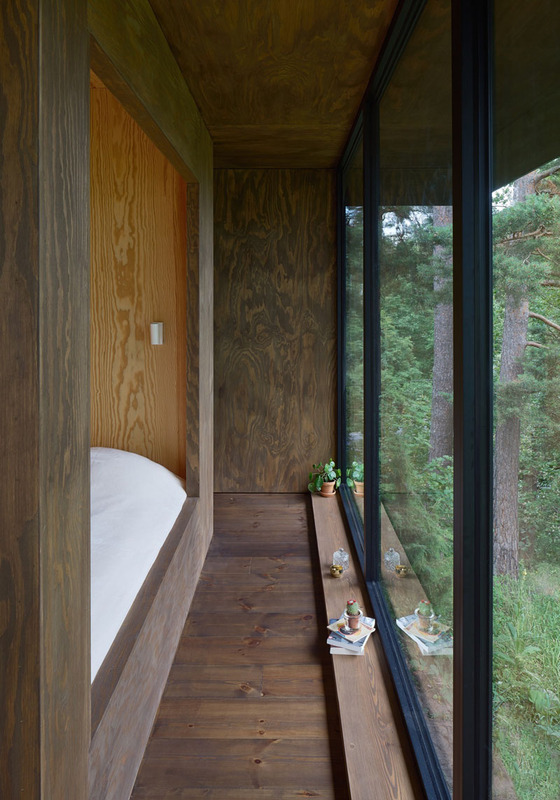 You'd love this simple small home surrounded with trees! Check it out! The size of a home is an important factor in order to live comfortably. But because of the creativity of designers, both small and large spaces become functional. Sometimes, a smaller space can even beat a larger home. This is because of the well-planned layout of a home and even the right choice of furniture and decors. We have featured many small homes already and all of them look really impressive in terms of layout and design. Even the exterior of the homes are totally stunning too. 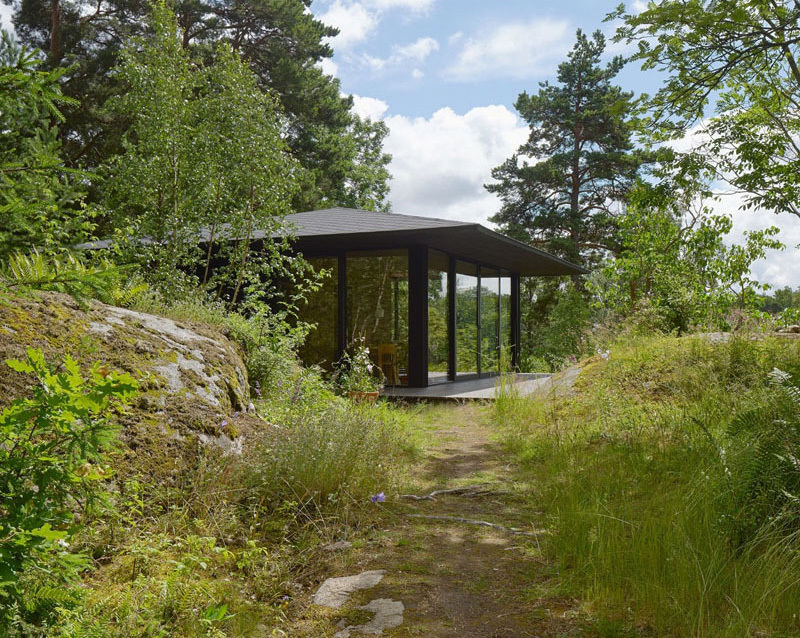 Today, we are going to feature a small house that is surrounded with trees. 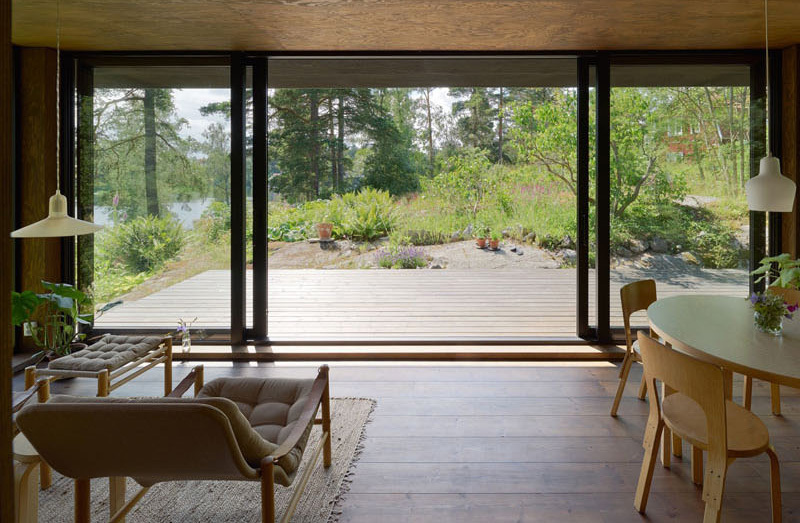 A small summer house is designed by Krupinski/Krupinska Architects which is located by the lake in the Stockholm archipelago. The site where this summer house sits on was inhabited by a garden during the early 1900s. Since then it was owned by different people until it ended up with a family with children. The family built a house in the area but they also added a new summer house which was built in addition to the original house. 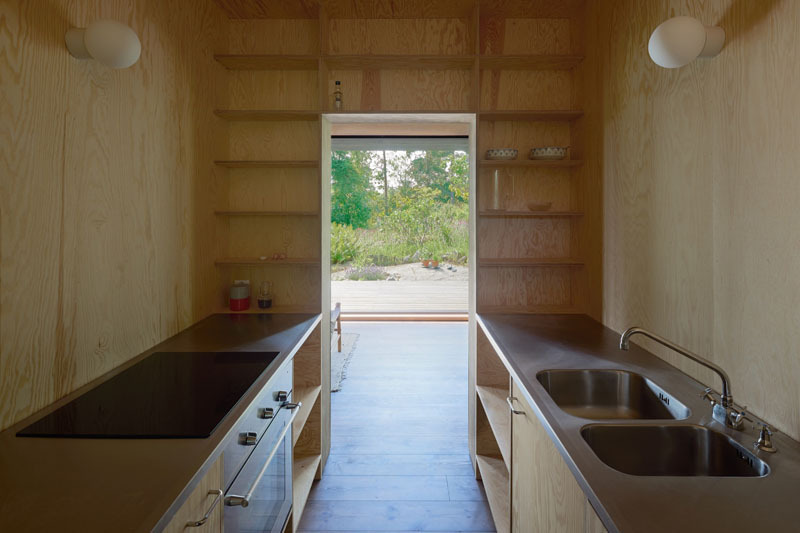 The small house includes a kitchen, bathroom, dining area, living room, four beds and room for storage. Its exterior has a modern contemporary design and it looks really nice and simple at the same time. Take a look at the house below. Unique feature: This small summer house has everything one needs for a home and its architecture is beautiful too. Because of municipal constraints, the architects were only allowed to design a building that would not exceed 430 square feet (40 m2). 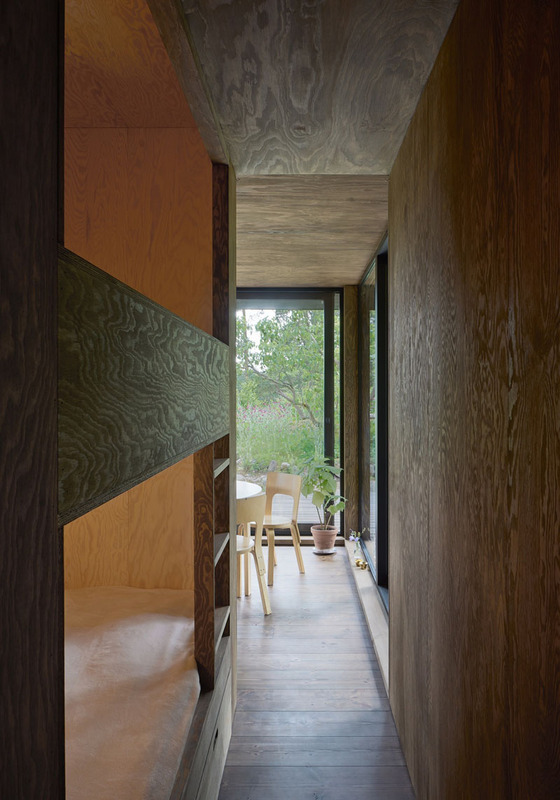 But despite that small floor area, the designers managed to make a beautiful home. 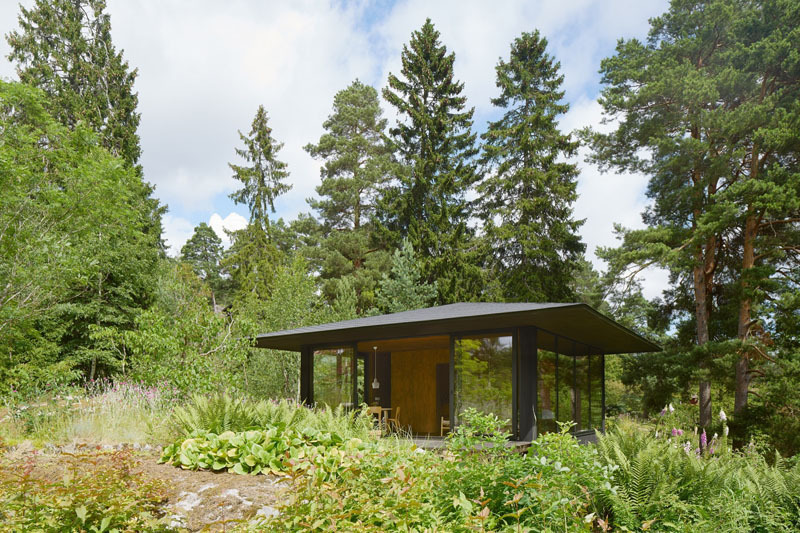 The design of the summer house consists of a large open square room with a standalone volume containing the beds, kitchen and storage. Isn’t that a good idea to save space? Aside from that, it looks very nice too. Large windows were used for the house in order to create picturesque views of the surrounding garden just like what you can see here. Also seen in the picture is lovely furniture with neutral tones. It is indeed nice to have a home with glass around it because the interior is brighter, cozier and warmer. You can see in this picture how nice and simple the interior is. It also leads to an outdoor wooden deck. Seen here is the dining area which features a round dining table and wooden chairs. From here, you can see the cooking area which means that the kitchen is located at the back of the wall. The home features small hallways like this one. 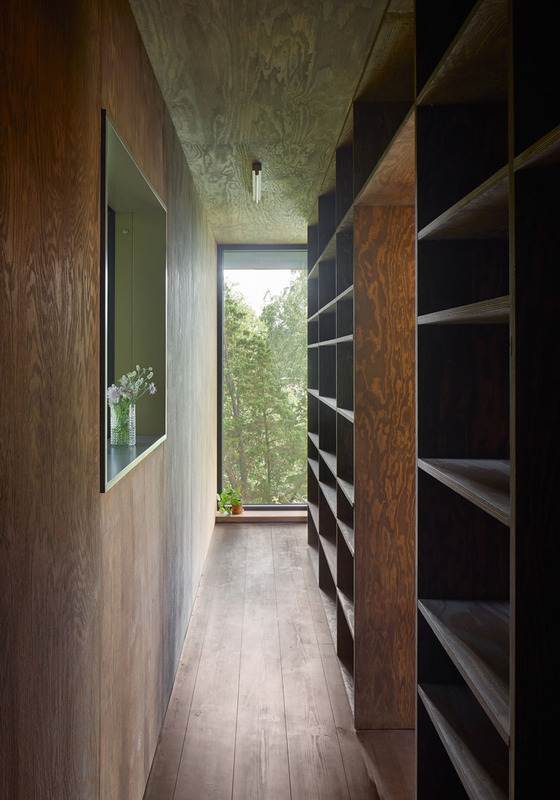 It is lined with tall wooden open shelves. We are not sure what the owners are planning to place here because it still appears blank in the photo. Isn’t this a simple kitchen? But despite its simplicity, it has modern and updated equipments needed for cooking and preparing food. This is the master’s bedroom which is the parents’ sleeping area. 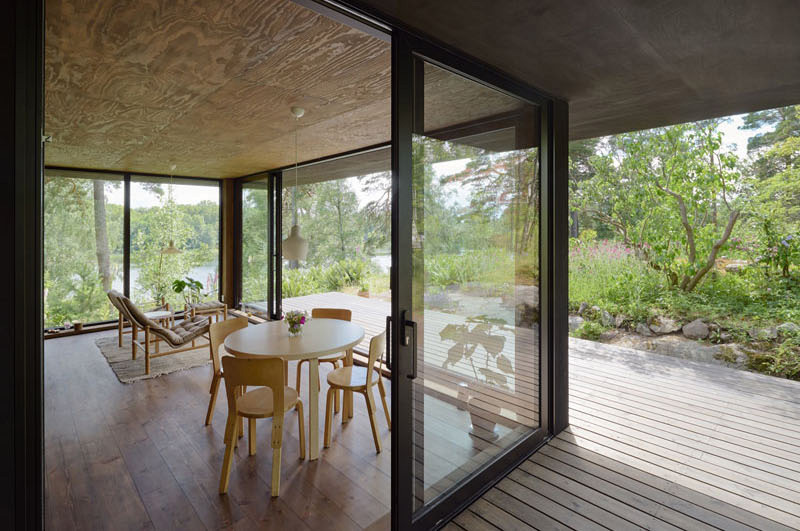 From here, it has a view towards the countryside and the lake. Aside from this bedroom, there is another one for the children which is has more enclosed sleeping alcove that directs the view towards the original house. This is the bedroom for the kids which feature a double-decker bed with white beddings. Like other areas of the house, this one also used wood everywhere. Also, you can see here a sitting area which would be perfect for kids who would study their lessons and do their homework. Isn’t this pretty? I love how this house looks so simple but it already has everything that one needs for a home. And as you can see, there are many tall trees around it. Expect chirping birds during the day! Because the place has trees and bushes all around, you can tell that there is a fresh both inside and outside the house. It is also more relaxing if trees can be seen from indoors. That would be an amazing view. 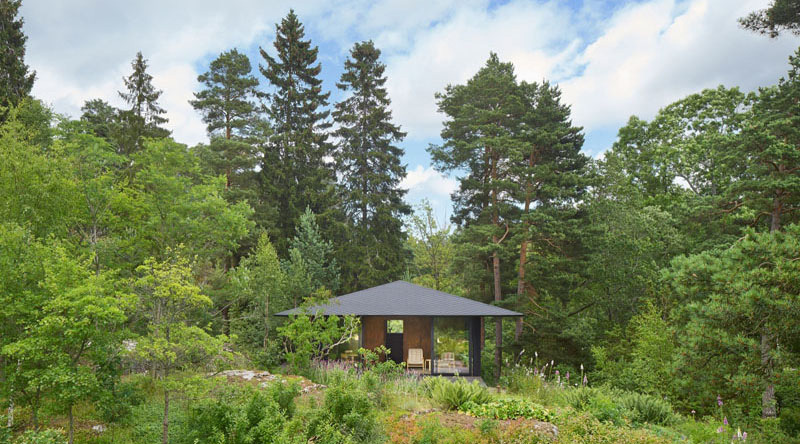 This is indeed a cute summer house but what I love here is its modern contemporary appeal. Although it is small, it is functional and anyone would love to live in it. Krupinski/Krupinska Architects designed this house and it is obvious that the end result is impressive. The architecture of the house is well done too. At first glance, you can already spot the contemporary appeal of the home. 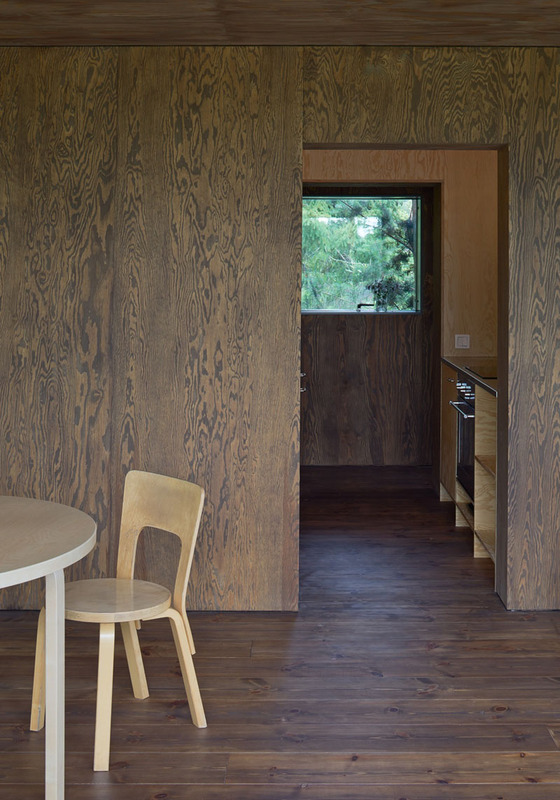 It would also be interesting to note that the house used wood in the interior. 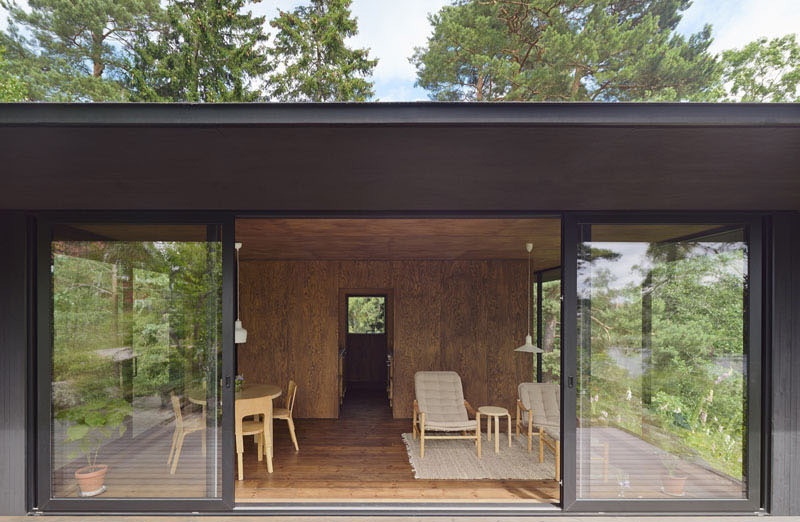 Would you love to have a small summer house like this?